Kim Kardashian is distancing herself from her family in a bid to become a fashion icon and will keep her life strictly confidential when her reality show returns. Kim Kardashian is distancing herself from the Kardashian family to become a "high fashion" icon. The 32-year-old reality star, who welcomed daughter North West with rapper Kanye West in June, wants to break away from the "media circus" surrounding her family and will keep her personal life private when Keeping Up With The Kardashians returns to the E! network. A source told the New York Daily News newspaper: "You won't be seeing North even once on the new season. Kim decided there is no way is she going to be part of this circus." The star, who is renovating a mansion with her rapper boyfriend, has even banned crews from filming in her new home. An insider added: "Kim doesn't want to film this show anymore. She's changing her image and breaking away from the family. She'll be moving into her house, but doesn't want the cameras inside her new home." The reports come in the wake of Kim hiring celebrity publicist Ina Treciokas this week, after sacking long-time publicist Leslie Sloane-Zelnick, who represents her sisters Khloe and Kourtney. A source explained: "With Ina, Kim's goal is to be transformed from a weekly magazine star to a monthly magazine star. She wants to be a fashion icon and off these weeklies that delve into her personal life. The one thing she wants more than anything is the cover of Vogue." 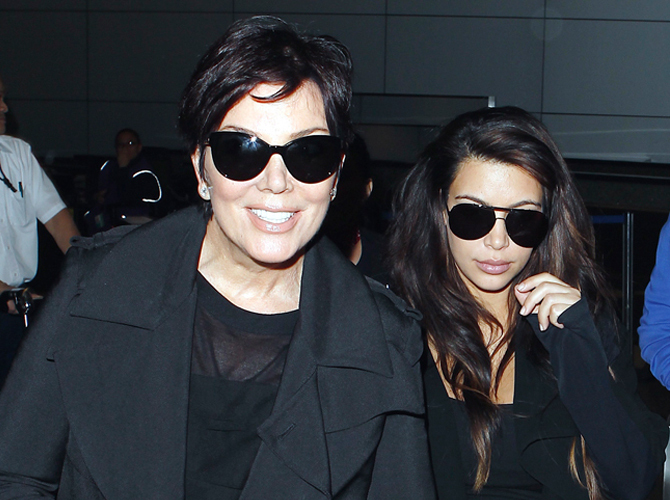 Kim's actions have reportedly enraged her mother and manager Kris Jenner, who has until now been included in all her daughter's business and press-related emails, although Kim is now thought to be doing it on her own. The source added: "The family is upset."